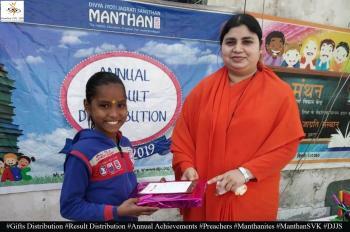 Manthan is determined to touch even the remote corners where under-privileged children are found either wandering aimlessly or doing jobs that are not meant for them. Education is the only powerful tool that they need to acquire at this age to discover their untapped potential and nurture their strengths. 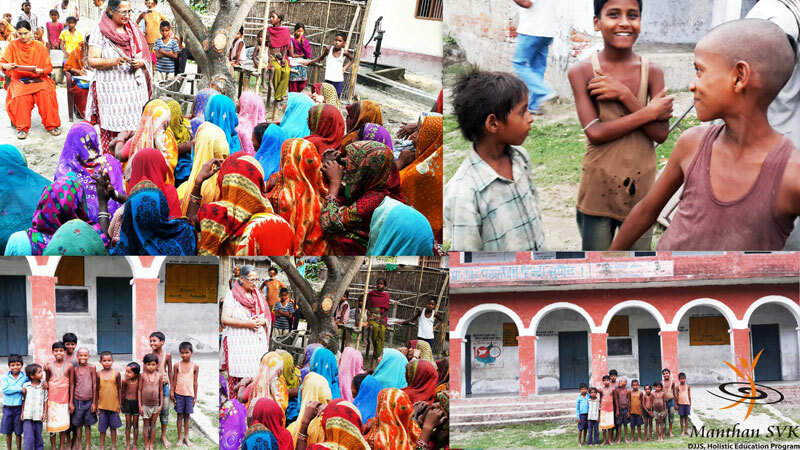 What came as a golden opportunity to disadvantaged children in Parsauni, a flood-affected village in Bihar, is the inauguration of a Manthan-SVK in this area today i.e. July 15, 2014. The situation of families of these children is extremely pitiable as they are not only victimized by their poverty but also fall prey to natural calamities and reside under temporary shelters. This area was surveyed and revealed the usual scenario where maximum children were non-school goers, along with some school dropouts. Trapped in adverse conditions, these children are hungry for care, affection, and hope. This is not all that Manthan dreams to fulfill for them. 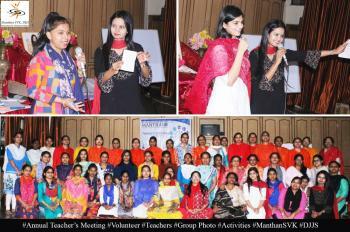 The vision is much higher and that begins with encouraging them to become the beneficiaries of Manthan’s educational drive whose ultimate goal is to shape their future. Initially, admissions have been done for children from nursery to 3rd standard and classes will be extended further. This project is part of a Community Initiative Program undertaken in collaboration with a Canadian organization, Women’s Empowerment International Foundation (WEIF). Manthan wishes to sustain this congenial bond with WEIF to launch more such educational projects for the welfare of deprived children.